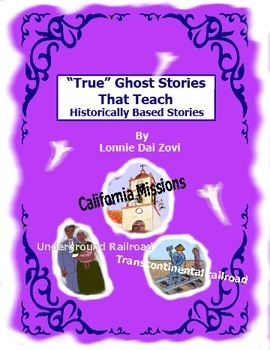 “True” Ghost Stories That Teach – Historically Based Stories With Content Area Connections (BUNDLE) by Lonnie Dai Zovi is a collection of high interest eerie, scary, odd or even funny ghost stories that are possibly true or inspired by true events. The stories for this collection were chosen for their historical usefulness and their ability to connect easily to other content areas like language arts,science, health, math, geometry, geology, art, and of course history! The ”True” Stories That Teach stories are geared for children and adults reading on a 4th-5th grade level. 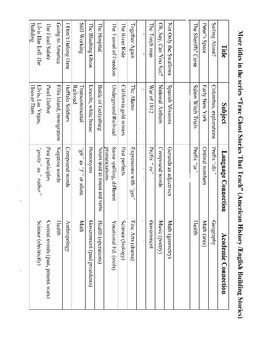 They are appropriate for regular ed, special ed, ESL and adult learners.